I’m baaack. I needed that week off from blogging. Anwyay I like to browse airbnb.com and look at homes you can rent and I’m always amazed at the design styles of people. Personally, if I were using a room or a home as a rental, I would keep it as neutral as possible and try to take cues from hotels. Maybe it’s the designer in me but I’ve come across way too many homes with dark busy bedding which would make me think of dirt. I even prefer hotels that at least have all white sheets. Dark and busy patterns is a way to hide dirt and spots. I think it doesn’t mean you have to be boring just stick with lighter shades and light patterns or maybe add some funky pillows to the mix. I simply think the less taste specific, the better in guest or rental rooms. 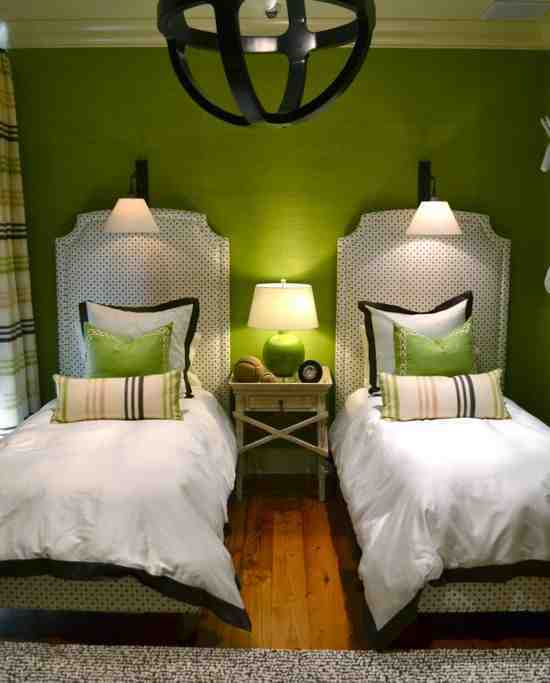 I really like the color and layout of the first room.